Robin’s blog is filled with photos and stories about those photos. They are comprised of family stories, art, blog challenges, reviews and whatever else sparks Robin’s mind to share her thoughts and experiences. Recently, Robin informed me she was going on a trip to visit a friend. She would be flying on an airplane, something she hadn’t done for over 30 years! 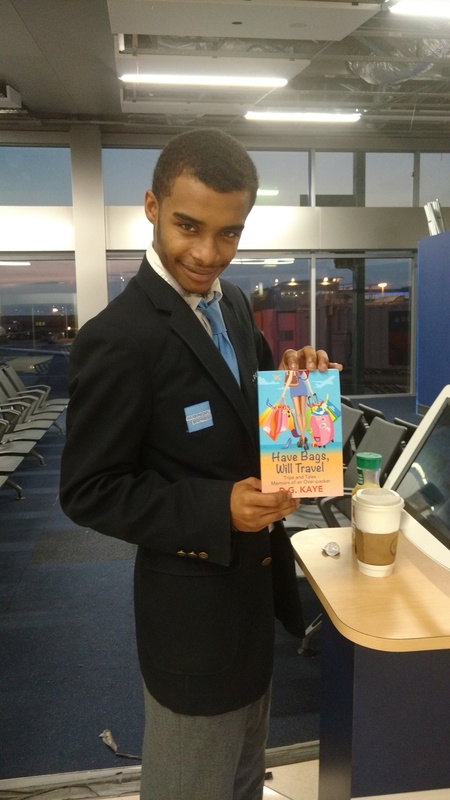 She’d been wanting to read one of my books and thought Have Bags, Will Travel would be a fun choice to take along for an airplane read. 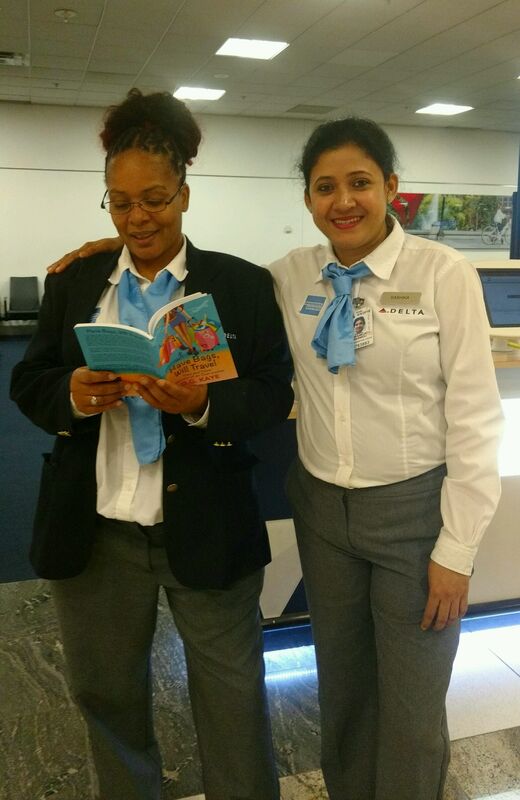 She informed me she was going to take that book and get some airline interaction with it, and to my delight she found a clever way to share my book around and created 3 posts, all with airline staff holding a copy of my book and according to Robin, these 2 women below got quite a chuckle out of the chapter where I write all about the germs on an airplane. No doubt they could relate! was like a breath of fresh air. it easier to crack up. What a review I love the idea. I tried something similar but didn’t work out nearly as well. Truth, it was pretty much a flop. This is wonderful! Great review! I also enjoyed reading your book Debby. Robin is very clever, creative and generous. Hope your book, Debby, gets international success! Very original – what a fun way to share your book, Debby! Love the photos as well as the idea.